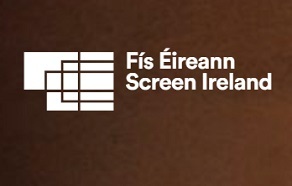 Screen Ireland has welcomed the €2 million increase to its 2019 budget and the extension to Section 481, the Irish tax incentive for the film and television industry, until 2024. This news was announced by Irish Minister for Culture, Heritage and the Gaelteacht Josepha Madigan TD along with the regional uplift of 5% to Section 481, which will provide additional support for projects filmed across the regions of Ireland for the next four years. This represents a 14% overall increase, bringing our capital budget, which is invested in film, television and animation projects, to €16,202,000 million for 2019. The department has also allocated €3.84 million to the Screen Ireland administration and training budget. “Earlier this year, Minister Madigan announced the Audiovisual Action Plan, an industry-wide, long-term vision, to support the Government’s ambition to enable Ireland to become a global hub for the creative screen industries. Therefore, we very much welcome this budget increase, as one of the first concrete steps in ensuring that we can implement this vision. This additional funding will ensure that Screen Ireland is in a strong position to support new and established Irish creative talent across film, television and animation production. “We also welcome the extension of Section 481, the Irish tax incentive for the film and television industries until December 2024. 2018 has been an incredibly successful year to date, with Ireland welcoming a large number of major international productions to our shores, Consistent government support for Section 481 is imperative to enable Screen Ireland to promote Ireland as an attractive international destination for film and TV production. Major international productions to film in Ireland in 2018 include ‘Vikings’ (MGM Television, World 2000), ‘Into the Badlands’ (AMC, Metropolitan Films International), ‘Nightflyers’ (Netflix, NBC Universal, Wild Atlantic Pictures) and ‘Quantico’ (ABC, Fastnet Films). According to the recently published Olsberg SPI Report, Ireland’s film, television and animation sector currently supports nearly 12,000 full-time jobs equivalents with a Gross Value Added for the audiovisual and radio sector of €1.1 billion to the economy. The Irish creative screen industries continue to go from strength to strength, Nora Twomey’s animated feature, ‘The Breadwinner’, lead nominations for Irish talent at the 2018 Academy Awards alongside Saoirse Ronan, Consolata Boyle, Martin McDonagh and Daniel Day-Lewis. Lance Daly’s epic revenge thriller, ‘Black ’47’, has become a major hit with Irish audiences, taking over €1.6 million at the all-Ireland box office. Screen Ireland titles also took home awards at major international festivals such as Tribeca and Toronto, with Carmel Winters’ ‘Float Like a Butterfly’ won the FIPRESCI Prize for the Discovery Programme at TIFF. Irish female creative filmmaking talent continues to shine on the global stage as Emer Reynolds’ debut feature documentary, ‘The Farthest’, recently took home an Emmy Award for Outstanding Science and Technology Documentary.